EBL, since 1998, professional on batteries and chargers more than 20 years. EBL always persistently providing high quality and services for everyone. Imported core from Japan, applicable to those ITE and ITC. Longer lifespan than others' hearing aid batteries, up to 15 days service time for using. 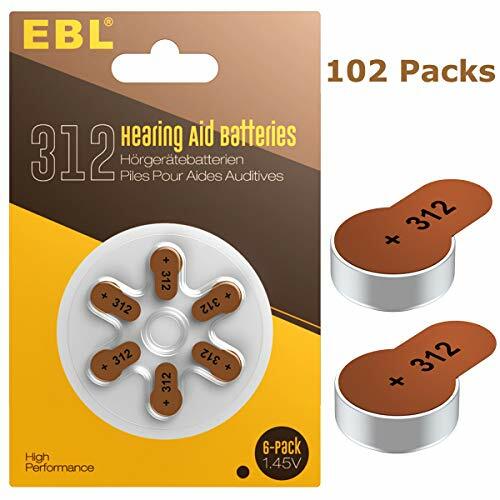 Remove the sealing tab and allow battery to be exposed to air for at least 1 minute to activate battery before inserting into hearing device, 5 minutes is better.